"The customer is our #1 priotiry. We want to make sure that they not only get the right battery, but the BEST battery for their application. That means making sure they have a thorough understanding of materials, technology, and performance cabailities. We want them to know all of their options so that they can spend less time worrying about their application, and more time enjoying it." We offer a variety of services to our Commercial and Walk-In customers. Experience: Our Company is staffed with experienced battery professionals who have over 100 years of combined experience. Personalized Service: Our knowledgeable customer service representatives will answer all of your questions and handle any problems you may have with ease. Delivery Available: Orders delivered on a daily basis help to minimize your investment, lower stocking levels, saves valued space, lessons rotations and creates fewer adjustments. Emergency Delivery: Products required in an emergency are always available to be delivered on a same-day basis. Order Fill: Our 20,000+ in-house battery inventory insures maximum order fill at all times of the year. Cost of Product: Your cost on batteries will always be the same competitive price quoted by your sales representative, even when batteries are ordered in an emergency situation. Scrap: We are an EPA approved disposal agent for hazardous waste scrap batteries, and we operate under EPA Permit #002330165. Batteries and More: As your battery specialist, we can supply all of your battery needs: Automotive, Commercial, Marine, Lawn and Garden, Deep Cycle, Wheelchair, Motorcycle, Phone, etc. 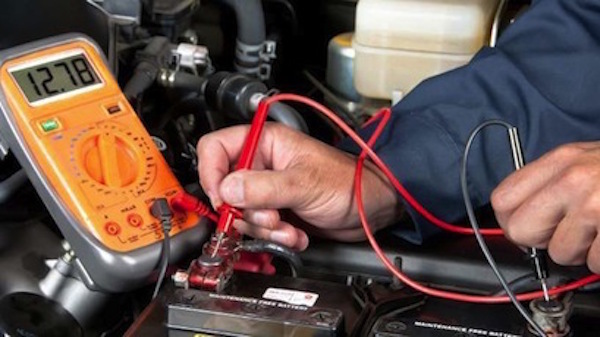 Battery Accessories that we stock include: Terminal Ends, Battery Cables, Jumper Cables and more! New products that we now offer include a full line of tablet batteries, Lithium motorcycle batteries, and solar power products. We offer expert service and excellent prices! Call us for all of your battery needs! Our Team has 100+ years of industry experience - send us your questions and put our knowlege to the test! Fill out the contact form below to get information on everything from product specs and pricing, to system design and installation.